Spineforce 3D Rehab and spinal decompression in Manhattan NYC. Don’t forget the little muscles! How exercising your deep spinal muscles help keep you young, strong, and healthy. It is the most common and pervasive complaint: back pain. In fact, it’s been reported recently that over 85 million Americans suffer from back pain during their life. In a study of lower back pain(LBP) and the various treatment modalities dealing with LBP, it was reported that Chiropractic care was the most effective treatment modality. However, the same study noted that for maximal patient improvement, exercise protocols needed to be added to Chiropractic Manipulative Technique. In the clinical setting, treatment and rehabilitative protocols have been varied, but consistent long-term relief has for the most part, eluded doctors and patients alike. Everyone can be healthier and feel better with the correct approach. Get started and realize that you are on a path to be healthy and fit for a lifetime. It is important to lift weights at least twice per week for all the major muscle groups, perform some sort of aerobic conditioning a few times weekly, and stretch daily for both strength and flexibility. Doing all this exercise is helpful and necessary but what will actually take care of that aching back of yours is strengthening your core. Like onions and Shrek, your back musculature has layers. Seven of them to be exact and it is the deepest layer that makes up your deep spinal muscles. The deep spinal musculature is the most important, yet most neglected muscle group of the body. Since it is your spine that is primarily responsible for all bodily movement, the health and fitness of these small muscles is crucial. In this report we will discuss the individual muscles that make up the deep spinal muscle group, their actions, and their origin/insertion and action. In addition, exercise protocols will be developed to allow you to improve your core fitness, coordination, and balance. There is a revolution going on in the fitness industry, and it is called core training(functional training). Examples of this type of training include: yoga, pilates, crossfit workouts(overhead squats mixed with pull-ups). When you hear about core fitness these days, it is all about the “hips, abs, and glutes” as the targets of core fitness. While it is true that the hips, abs, and glutes are core muscles, it is vitally important to realize that your primary core muscle group is the deep spinal muscle group. The deep spinal muscles are often weak, neglected afterthoughts in the chic world of “hips, abs, and glutes”. The kinematic reaction to strengthening the deep spinal muscles results in increased muscle coordination, improved balance, and improved posture. This kinematic reaction extends to all bodily functions to balance the biomechanics of the spinal musculature which will reinforce and coordinate the body’s entire muscular system. Also, this helps to connect the deep stabilizer muscles to the superficial bodywall muscles. One problem with traditional core fitness it that it is mostly unidimensional (think benchpress or leg extensions). What is required to improve core fitness, specifically deep spinal muscle fitness is to introduce multidimensional movements. How can we accomplish this task? Well on the low-tech side there is the wobble board or bosu ball, and then there is the high tech SpineForce machine with it’s rotating and oscillating platform. The instability inherent in these devices causes a kinematic muscular reaction in which the spine, the body’s center of gravity, strives to maintain equilibrium. This chain reaction travels to the deep stabilizing muscles of the spine via a reflexive action(solicitation). Deep muscle chains, specifically those crossing at the center of the body in an area localized between L3 and the pubic symphysis are strengthened. The strength and flexibility of the deep spinal muscles, and therefore the spinal column and the nervous system are greatly enhanced by this approach. In short, you have to create three dimensional movement along the three axes of body motion simultaneously. Axes are lines, real or imaginary, about which movement takes place. The three types of axes are: Sagital; A horizontal line from a bodies front to back at midline. Abduction and adduction are action movements along the sagital axis. Coronal; This axis extends horizontally from side to side. Flexion and extension are action movements along this axis. Longitudinal; This is a vertical line extending in a cranio-sacral direction. Movements of medial and lateral rotation take place along this axis. Movement of the vertebral column is usually slight between two adjacent vertebrae, but as a whole the spinal column has considerable movement in all ranges of motion about the three axes. The deep spinal muscle group includes names like Interspinalis lumborum, rotators cervicis, as well as latissimus dorsi. Lets take a look in detail at these muscles and their actions on the spine (superficial to deep). Latissimus Dorsi- The origin is the spinous processes of the last six thoracic vertebrae through the thoracolumbar fascia from the lumbar and sacral vertebrae. The insertion is the bicipital groove medial tubercle of the humerus. The muscle acts bilaterally to assist in hyperextending the spine and anteriorly tilting the pelvis, or in flexing the spine and posteriorly tilting the pelvis. Rhomboids-Major&Minor- The origin for major and minor rhomboid muscles are the spinous processes of the seventh cervical to the fifth thoracic vertebra. The insertions of the major and minor rhomboids is the medial edge of the scapulae. The action of the rhomboids is to adduct and elevate the scapula. Trapezius Muscle-It originates from the seventh cervical vertebra for the upper muscle fibers, and from the first through the twelth thoracic vertebrae for the middle and lower fibers. The insertion points range from the lateral third of the clavicle and parts of the acromion and scapula. The action of the trapezius is to move the scapula in relation to the spine. Erector Spinae Muscle Group(superficial): A-Iliocostalis. These muscles originate from the sacrum to the medial rib heads and they insert on the transverse processes of the lumbar, thoracic, and cervical spines. The action of these muscles is to extend the back and neck. B-Longissimus. The longissimus muscle group which includes the thoracis, cervicis, and capitis sections, originates from transverse processes of the lumbar spine up to the lower three or four cervical vertebrae. The insertions for this group of muscles goes from the posterior margin of the mastoid process down to the superior transverse processes from where the muscle started. The action of the longissimus is to extend and aide in rotation of the spinal column. C-Spinalis. The origins of the spinalis muscle group is by tendons from spinous processes of the first two lumbar vertebrae up to the seventh cervical vertebra. The insertions begin with the spinous processes of the superior vertebra. The action is to extend the back through each individual vertebral segment. Transversospinalis(Deep): A-Semispinalis(first layer)- Originates from transverse processes of lower thoracic vertebrae to lower cervical vertebrae, and inserts on Spinous processes of the upper thoracic and all the cervical vertebrae, up to the occipital bone. B-Mulifidi(second layer)-These muscles originate on the transverse processes of L5 through C4. The insertions span two to four vertebrae, connecting with the spinous processes of superior vertebrae. C-Rotatores(third layer)-Originates from transverse processes of all vertebrae and insert on the lamina of the vertebral segment above. Interspinalis. These small muscles in pairs are placed between spinous processes of contiguous vertebrae. Their action is multidimensional stabilization. Intertransversarii. Small muscles placed between transverse processes of contiguous vertebrae in the cervical, thoracic, and lumbar spines. It also acts as stabilization for the spine. In utilizing these deep spinal muscles, the body when put in a state of imbalance, has two methods of dynamic rebalancing: first it flexes forward/inward and second it extends back/outward. If we stress the spine with two modes of muscular action(push/pull), we will cause the deep spinal stabilizing muscles to act on the intervertebral discs while decoapting the articulation. This in turn creates an instaneous coordinated reaction in all bodily movements. The ability and rapidity of the body to react to forces and imbalances is possible if the deep stabilizing muscles of the spine are active and in synchronized coordination. 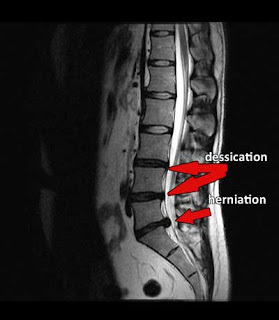 The resulting decrease in pressure on the intervertebral discs is greatly beneficial to our patients. Doing multidimensional movement exercises on a Spineforce machine for fifteen to thirty minutes four to five times a week is a good proscription for all of us and our patients. Try this exercise program for two weeks and you will feel and see the improvement. Now go out and get fit. Marc S Golub, D.C.
A full service Comprehensive Physical Medicine and Rehab facility utulizing state of the Art Rehab equipment. Acupunctre- Licenesed Massage and Neuromuscular Treatment. Certified Kinesio taping and Erchonia Cold laser therapy, Graston technique. Mckenzie Physical therapy, Cox Flexion Distraction -7th. Generation table, DRX 9000 spinal decompression.